It’s Nina Landry’s birthday, and she’s supposed to have her kids ready to leave in a few hours for a Christmas holiday in Florida with her new boyfriend, but her fifteen-year-old daughter Charlie spent the night at a friend’s and hasn’t come home yet. Not by ten a.m., not by eleven. Nina is getting angry---they have a plane to catch, and Charlie hasn’t even bothered to pack. As time passes, though slower and slower by the minute, Nina becomes uneasy. Her anger gives way to worry, and that worry quickly builds into panic. By one p.m., she’s wondering, has Charlie run away, or has something far worse happened? And why won’t anyone---not the cops, not Charlie’s friends, not Charlie’s father---take her disappearance seriously? As day turns to night on their home of Sandling Island sixty miles from London, and a series of ominous secrets leads Nina from sickening suspicion to deadly certainty, the question becomes less whether she and her daughter will leave the island in time and more whether they’ll ever leave it again. 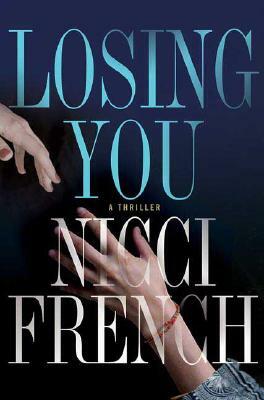 In Losing You, the newest thriller from the long-acclaimed master of psychological suspense, Nicci French unravels one mother’s life and replaces it with every mother’s worst nightmare. Nicci French is the pseudonym for the internationally bestselling husband-and-wife writing team of journalists Nicci Gerrard and Sean French. They are the authors of eight previous novels, including "Catch Me When I Fall, Secret Smile," and "Killing Me Softly." They live in Suffolk, England.